1.) Price right for the season: Think you have to price your home lower in the off-season in order to sell it? Think again! When it comes to making your home stand out this fall, proper pricing is one of the most important factors. If you work with a reputable real estate company like Simply Property Management- Paielli Realty, Inc. then they’ll set the right price for your home so that it will be priced to compete in the current market. 2.) Get motivated: With the holiday season approaching fast, it’s easy to get wrapped up in planning family get-togethers and distracted by upcoming celebrations. But if you want to sell your Las Vegas home this fall, you have to get as motivated as the buyers who are waiting to buy your home by years end. It’s best to work with a reliable real estate company with a solid record of selling houses year round and a good reputation. 3.) 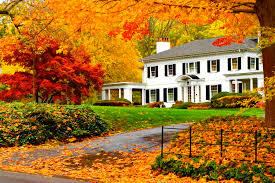 Present your home: In the fall selling season the days get shorter as far as natural light goes and there will be plenty of buyers who want to look at homes when they get off work. Having adequate lighting on and in your home for fall evenings makes your home look more presentable to buyers looking at dozens of homes. Walkways should be clearly lit and clutter should be removed from high traffic areas to prevent falls. As your agents, the Simply Property Management – Paielli Realty, Inc. team can look over your house and provide a list of options for repairs or improvements to help your home sell. Sometimes just a few simple repairs can make all the difference between a home sitting on the market for months and quickly selling! If you’re interested in selling your Las Vegas house this fall, looking for a home to rent in Las Vegas, or seeking Las Vegas property management services, please contact Simply Property Management – Paielli Realty, Inc. today. We strive to meet your property management and real estate needs and go above and beyond to provide our clients with five-star service!